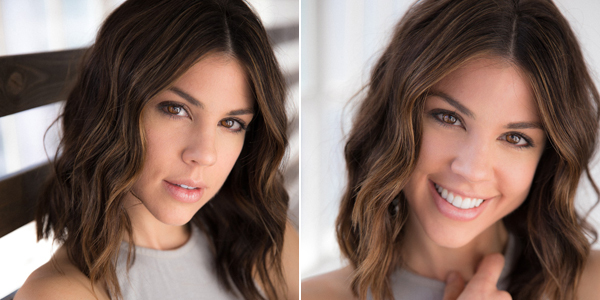 Today [Feb 14] Design and Jewelry shop &Partners will host actress Kate Mansi — former Days Of Our Lives star – in a Valentine’s Day themed Instagram meetup. Ms Mansi, who portrayed Abigail Deveraux on the long running daytime soap opera, is currently on island filming the Bermudian film production “Babymoon” [working title]. &Partners, located at 46 Par-la-Ville Road, Hamilton in the Vallis Building, will be hosting Ms Mansi from 12pm to 2pm to celebrate Valentines Day by discussing one of her favorite topics with you: love. When asked about the topic Ms. Mansi said,”I’ve always been in love with love and fascinated by its powerful impact. The company said, “So stop by &Partners to share your unique love story, give a personal shout out to the one[s] you love, or simply share your thoughts on this special topic of the day.